Fashion always referred to Art as source of inspiration: hommages to artists and painters are a long leit-motiv during history of fashion…and, in some fortunate cases, this fascination for arts gave us such memorable creative marriages like the one of Elsa “Schiap” Schiaparelli and Salvador Dalì. 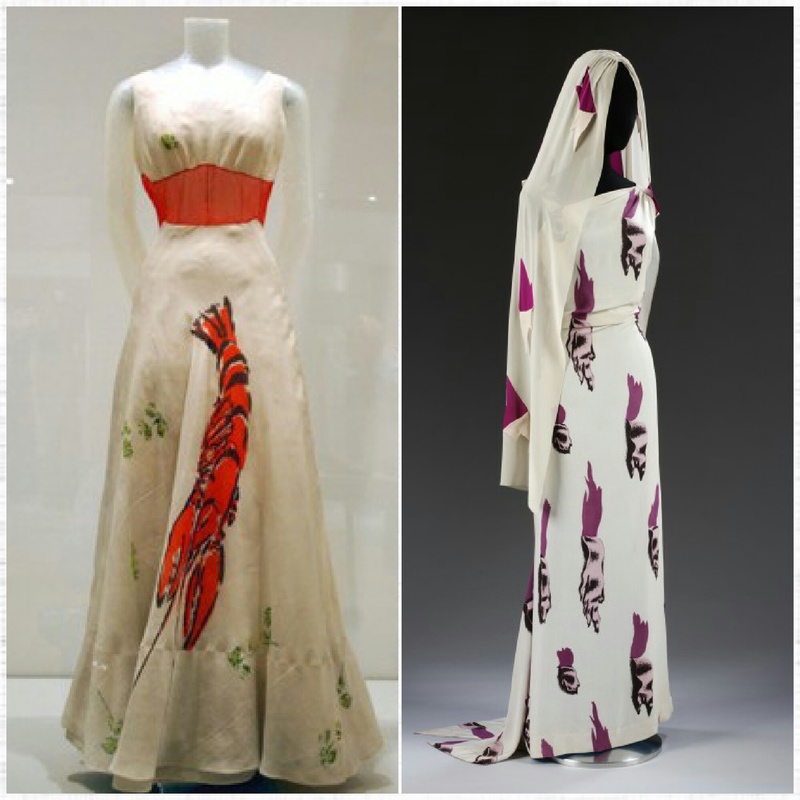 Their collaboration, starting from the early 1937, reached its maximum with the fall-winter collection 1938-1939 with some greatest pieces as The Lobster Dress, The Tears Dress, The Skeleton Dress and The Shoe Hat. 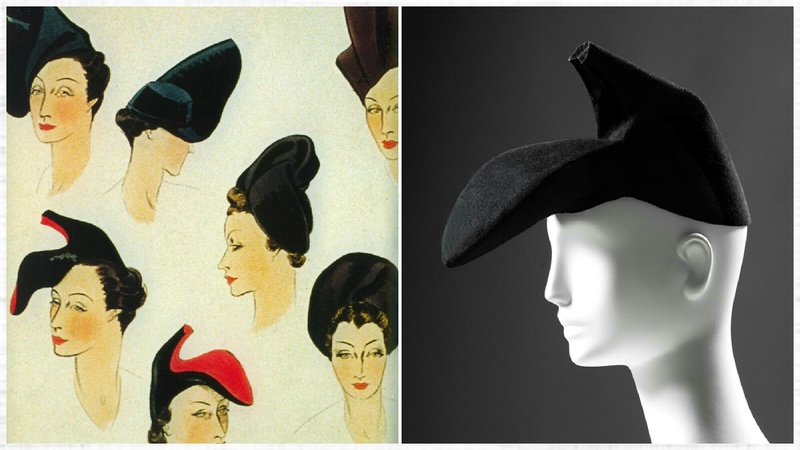 That unconventional eye on fashion was really a shock, not only because Schiap was convinced that “in difficult times, fashions is always outrageous”, but also because that surrealist twist launched the idea of the concept of “wereable art”. 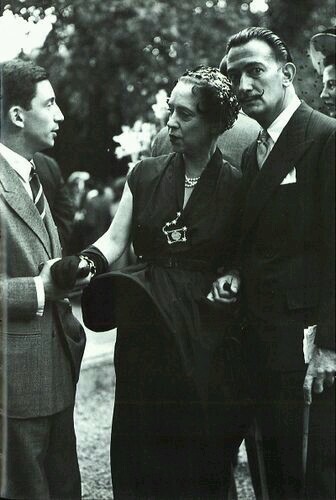 Schiaparelli’s collaborations included Jean Cocteau, Leonor Fini and Alberto Giacometti and no wonder that Coco, at that time, called Schiap as “the artist that makes clothes”. By the way, both Schiap and Coco were the only two who ruled Paris fashion stage at that time, but that outrageous eye gave such a twist …and a breath of surrealism broke the air. Nowadays, when the House of Schiaparelli is finally on stage providing us memorable haute couture runways, it’s nice to see how that fil-rouge, created and wanted by the founder, still emerges from the fabrics and creations just to take place on mesmerizing sequined shoulders or in elegant details that recall the memory of things. 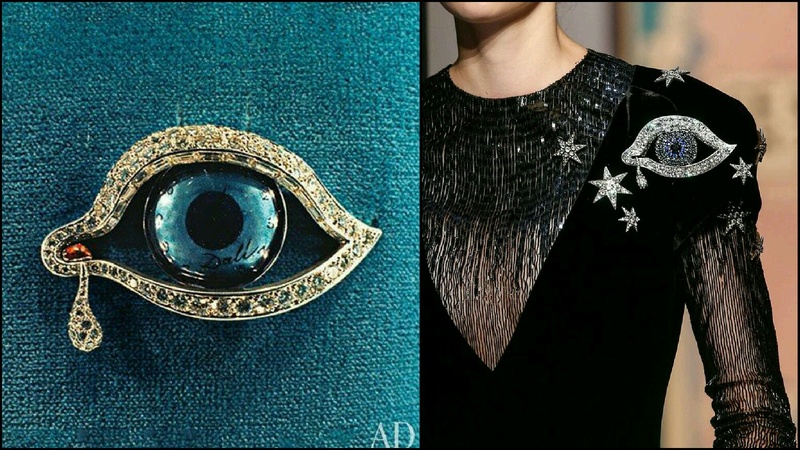 Salvador Dal’, Eye of Time, brooch, 1949 [courtesy of AD] and House of Schiaparelli, Haute Couture coll. 2015. 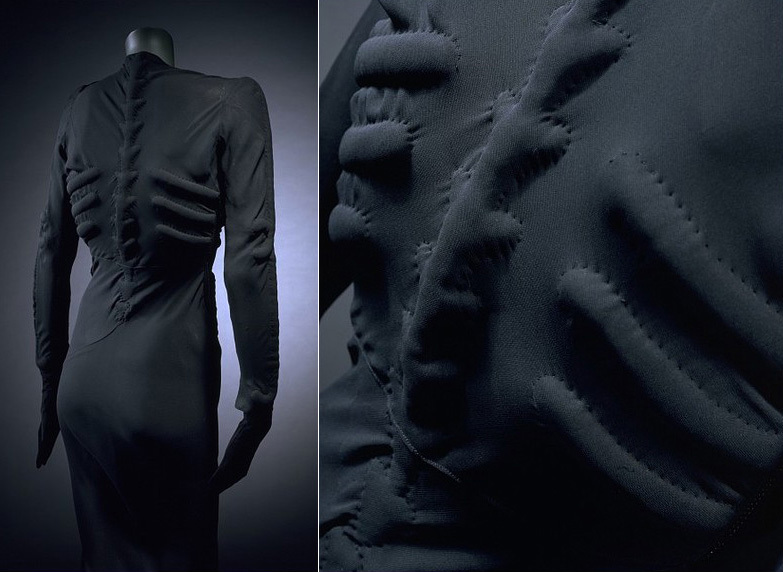 This métissage, of course, is a clear tribute to Dalì: directly derived from his “Eye of time” brooch, created in 1949: the House of Schiaparelli wants to give a direct homage to the great surrealist painter and artist who created a fabulous jewels collection (now shown at Figueres Museum) and collaborated with Elsa: a sort of memory thread never cut. To me, of course, this subterranean river made of details wisely sprinkled all over creations is a feast for my eyes and a delight for my memory’s drawers: how pleasing is when you can easily detect all those interconnected inputs you have in your mind that are waiting for you, as a long path made of tiny little pebbles? But, far from this enchantment, one thing is noticeable: more often (as my wise friend P. says) fashion is becoming reinterpretation, without any room for creativity itself. So, I ask myself: when fashion imitates Art, or borrows some specific peculiarities from it…is still “creation” or a lack of it? Moreover: do you think that nowadays, such imaginative collaborations as the one of Schiap and Dalì are still possibile….? is there yet an absolute outrageous eye? Marisa Schiaparelli Berenson, Schiaparelli’s Album, Thames & Hudson, 2014.